When it comes to snoozing in the woods, your sleeping bag is arguably the most important piece of the puzzle. This Active Junky Buyer’s Guide ranks top car camping and backpacking sleeping bags so you can pick the bag that best matches your needs, and don’t forget to sign up for Active Junky for exclusive deals and cashback on your gear purchases. 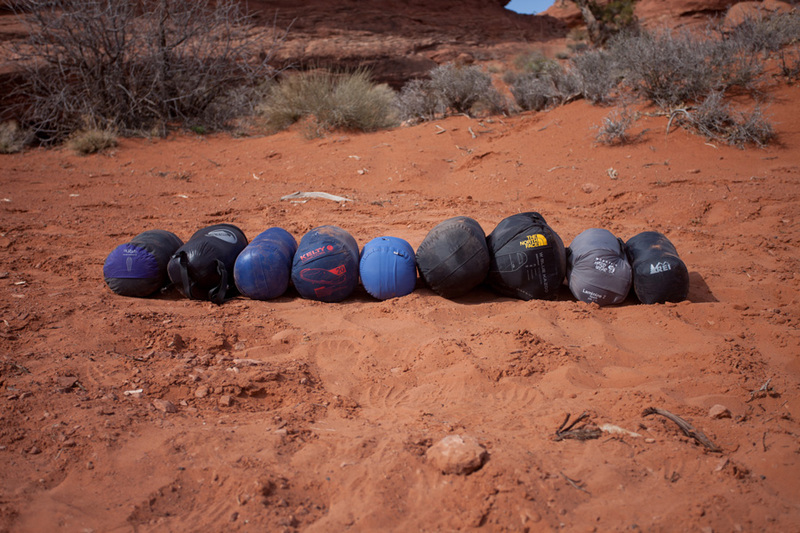 During colder winter months, Active Junky gear testers spent two weeks pitting these bags against one another in Utah’s high desert terrain as the first stage of product testing. Temperatures ranged from the low 20s to the high 50s as weather varied from sleet and rain to clear, cool skies. Perfect conditions to test 3-season sleeping bags. 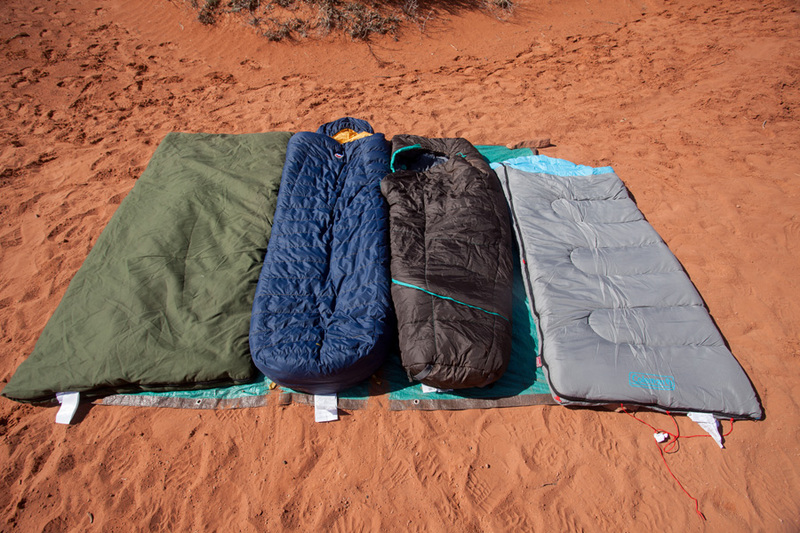 Picking a sleeping bag can be tough with the large number of choices. 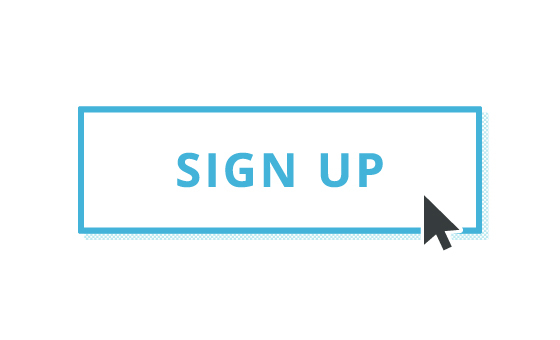 Ask yourself a few simple questions to narrow down your options. Question #1: Are you a car camper, a backpacker or both? What’s your main objective? Pull up to a car camping spot and pitch your tent right there? Or backpack to remote locations, putting in long days on the trail? Car camping bags have a few benefits: they are cheaper, more spacious and comfortable than their backpacking counterparts. As a result, car camping bags are bulky and less versatile than backpacking bags. While we don’t advise lugging a car camping bag on a backpacking trip, the best backpacking bags easily adapt to car camping. Infinitely more versatile than car camping bags (and pricier), they’re typically lighter, pack smaller and are less spacious than car camping bags. 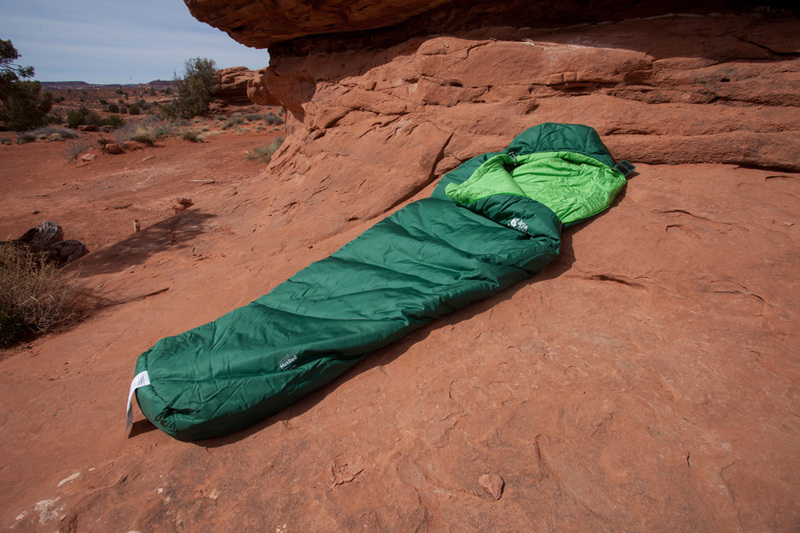 Question #2: Where and when do you plan on using your sleeping bag? 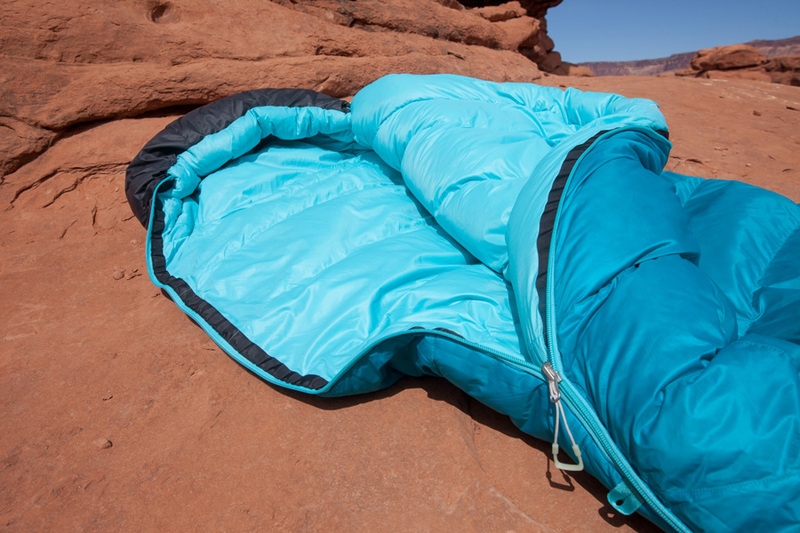 Weather matters and, while we’ve focused on 3-season sleeping bags in this Buyer’s Guide, many of these brands work as 2-season summer sleeping bags. And, in some cases, as winter sleeping bags. Three-season bags carry a rating down to 10-35 degrees, allowing you to stay warm as temperatures hover near freezing. In more moderate conditions, simply unzip to extend their range. 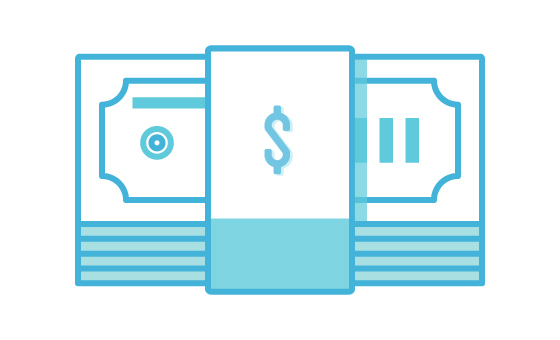 Question #3: What’s your budget? Car campers win with lower prices while still able to upgrade to more premium bags like the warm and spacious Big Agnes Summit 15. Backpackers on a budget should evaluate the Klymit KSB 20, an innovative bag with superior packability and versatility for the weight and price. 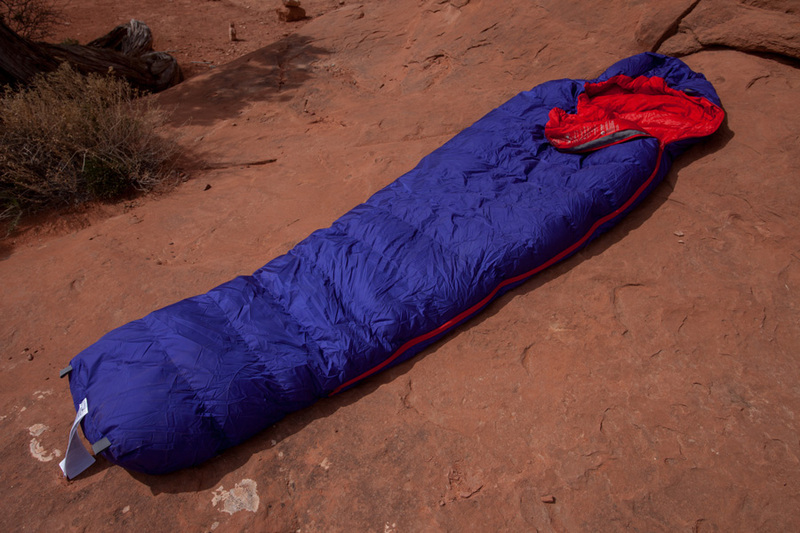 In truth, backpackers need to view their sleeping bag as an investment-grade piece of equipment. Allocating $300-500 for a quality 3-season bag fits this view. Most sleeping bags are now rated using the EN (European Norm) modus operandi. The EN rating system puts forth two temperatures: the EN lower limit temperature and the EN comfort rating. The EN lower limit denotes the temperature at which the average man can sleep without issue. The EN comfort rating denotes the temperature at which the average woman can sleep without issue. Keep in mind, these averages don’t reflect how warm or cold you sleep – and the adjustment in bag selection needed to compensate. To down or not to down? While light and warm, down loses loft (insulating power) when wet. For wet climates like the Pacific Northwest, look for a bag that’s filled with down that’s undergone a hydrophobic treatment. Or select a model with a water-resistant coating, like the one found in the Brooks-Range Drift 20. 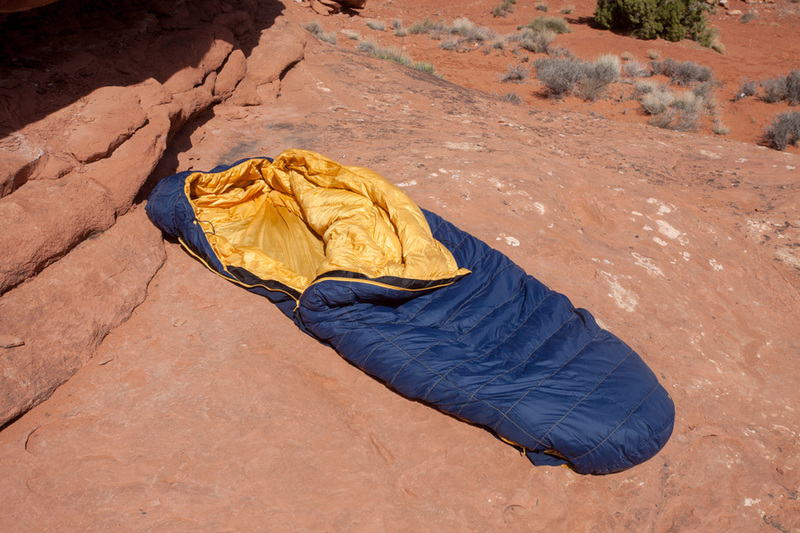 In the dry desert, Active Junky testers prefer the lightweight warmth of a thick, fluffy down sleeping bag where down or fabric treaments are required. Synthetic insulation, normally heavier than down, won’t lose its insulating value as dramatically when wet, compared to natural down, which clusters, compresses and traps less air. Synthetic insulation is less costly and less compressible to suit space-rich car campers. 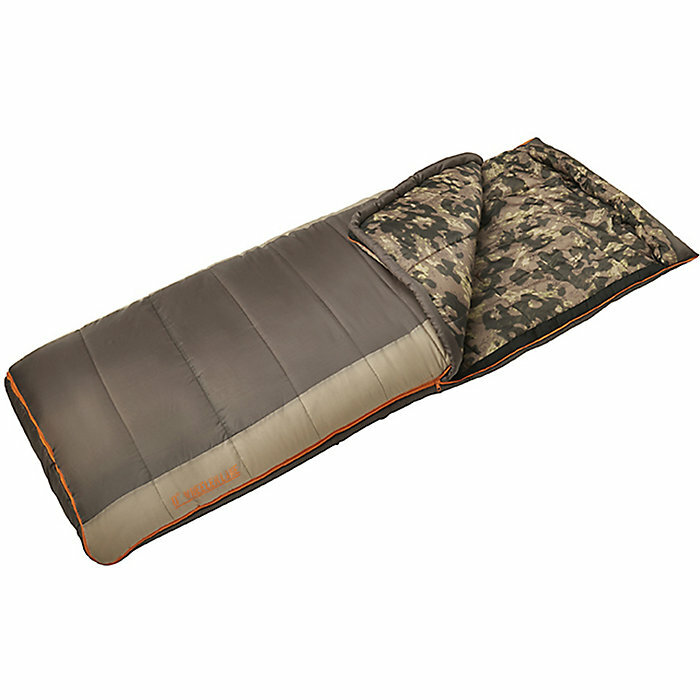 Down rating is measured by “fill power” where higher ratings support warmer, lighter sleeping bags. For example, a 20-degree, 650-fill bag is larger and less expensive than an equally warm 850-fill bag. Premium backpacking bags carry fill power ratings of 750-900. 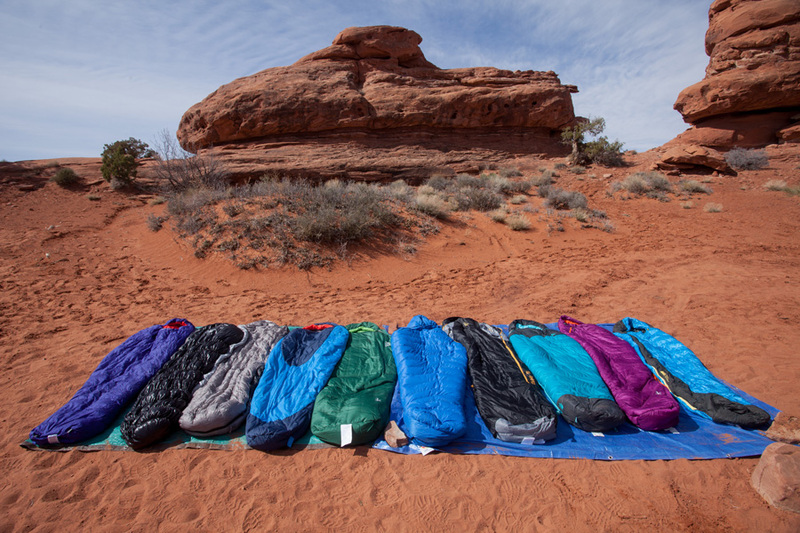 After two weeks in the Utah desert in winter, and extended testing in the Pacific Northwest and the Colorado Rockies during the spring, our testers slept in over 15 sleeping bags selected from top brands. The ten bags included here are the team’s favored models. At their respective temperature ratings of 15, 20 and 25 degrees, the Marmot Helium 15, Brooks-Range Drift 20 and Rab Endurance Neutrino 400 were our testers’ favorite premium backpacking bags. 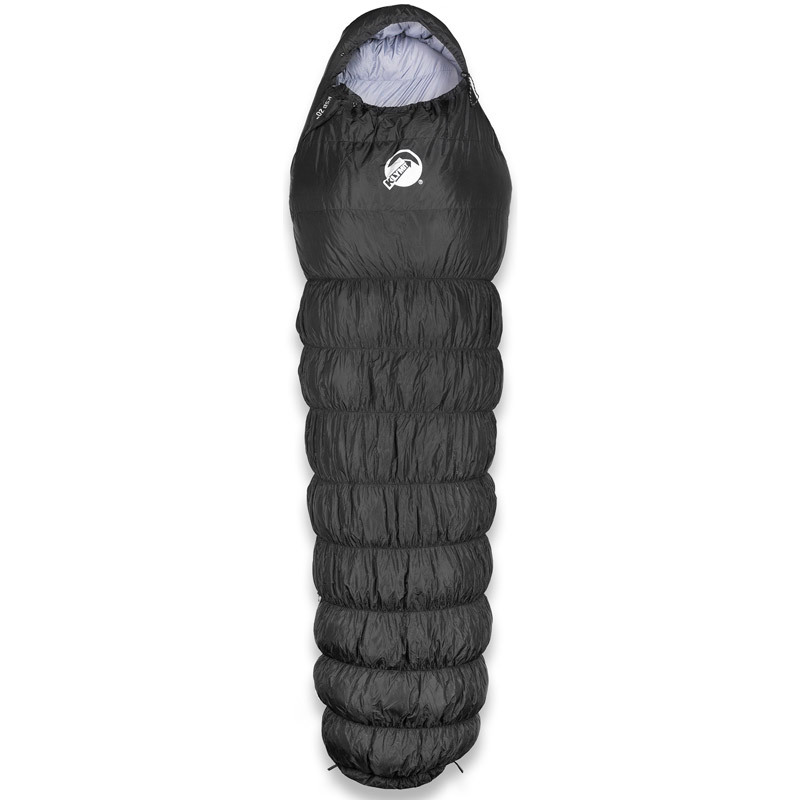 Marmot Helium 15 $257.33 - $275.27 The Helium was among the warmest tested in the 3-season category, thanks to 850-fill, hydrophobic-treated goose down. It featured the top hood, a 6-baffle design that counters the need for a pillow. Rab Neutrino Endurance 400 25 $374.06 - $434.95 The Brooks-Range Drift 20 is an ultralight beast of a bag, our top pick at the 20-degree mark. Testers appreciated the strength of the 15d nylon fabric along with the hydrophobic properties of the 850-fill DownTek insulation. When temperatures weren’t quite as brutal, testers chose the 25-degree Rab Endurance Neutrino 400. This sub-2lb. bag kept testers warm as temperatures hovered around freezing. 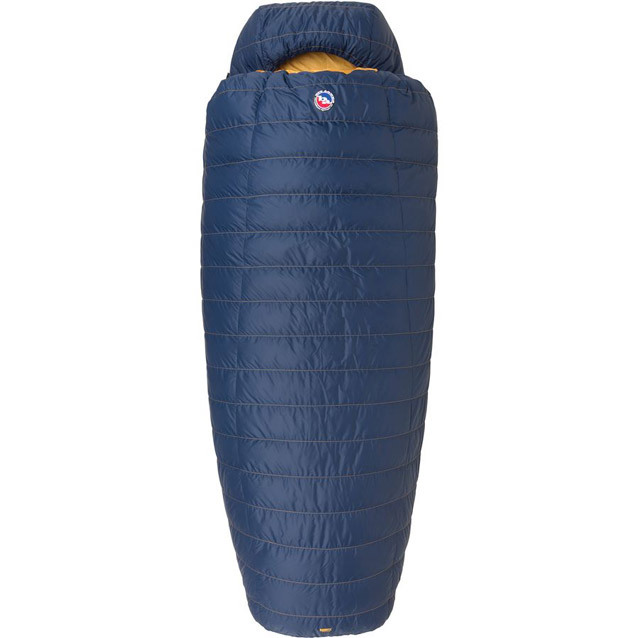 Klymit KSB 20 $130.69 - $189.95 The Klymit KSB 20-degree Down Sleeping Bag combines design ingenuity with quality, affordable materials. Stuffed with 650-fill Down, it isn’t as compressable as other down, but at 3lbs and under $200, this model is a full-on bargain. The North Face Blue Kazoo 15 $192.52 - $262.26 Though heavier than the Flash, the The North Face Kazoo earned the top spot among female testers when temperatures dropped below freezing. A snug, lofty bag (only 650-fill), the Kazoo isn’t an overly compact sleeping bag, but the warmth is unbeatable at the price. The Active Team put car camping bags to the test as well. 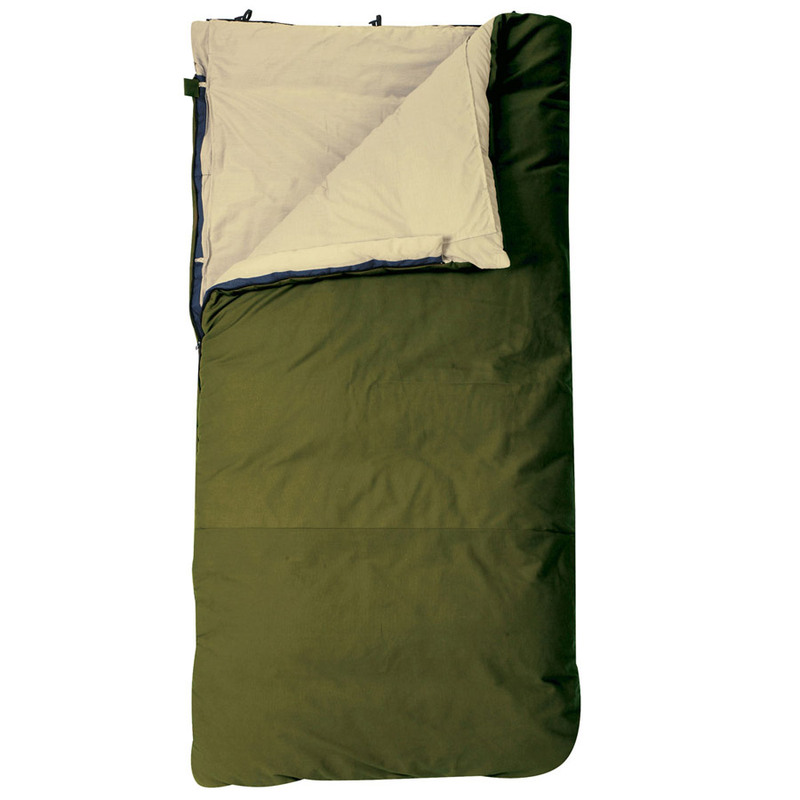 Slumberjack Country Squire 20 $161.71 - $167.28 The Slumberjack Country Squire 20 is worthy of royalty, a plush duvet of a sleeping bag that barely stuffs in its duffel bag (yes, it comes with a duffel bag). 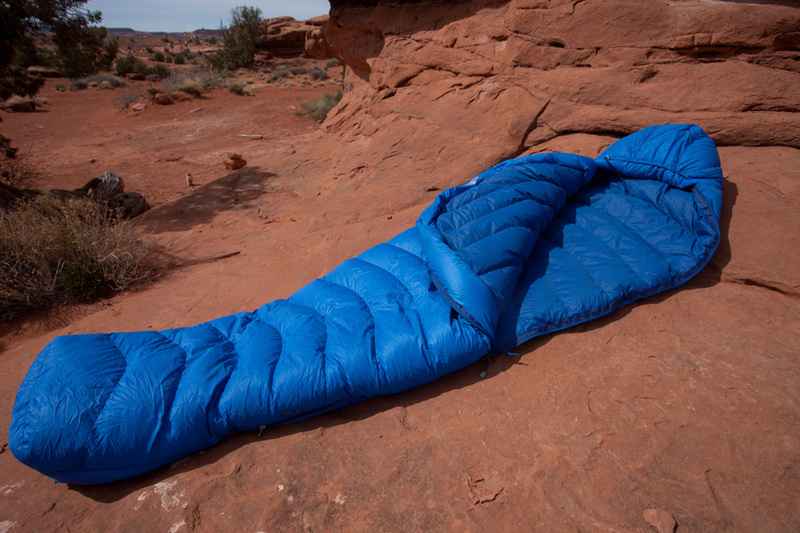 Nearly large enough to be a double sleeping bag, this behemoth is our first choice as a car camping comforter. 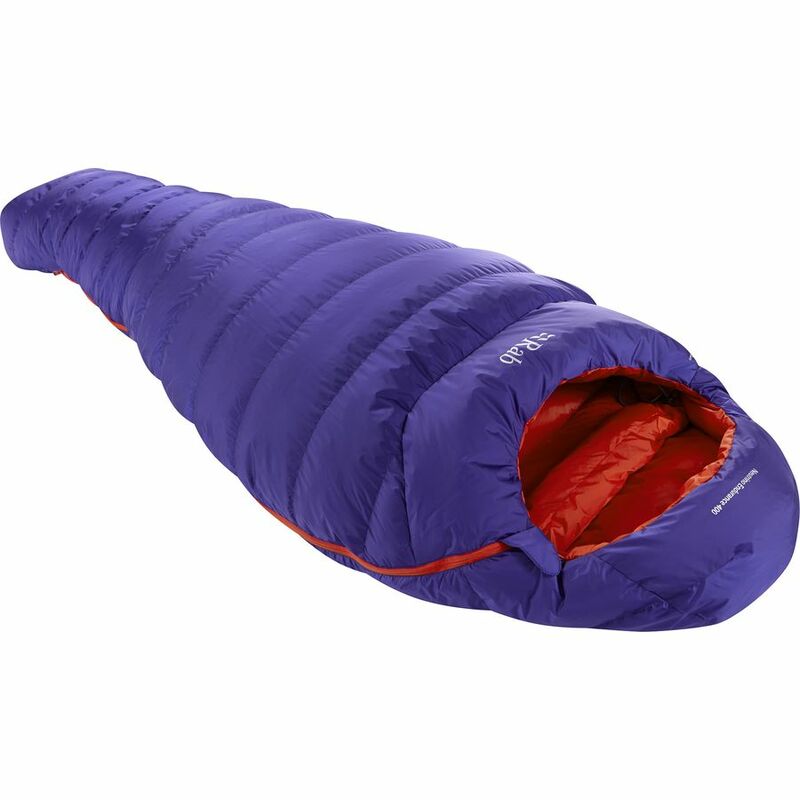 Performance: Did the sleeping bag keep the tester warm? Did it perform well in the temperature range? Did the zippers get stuck? Was it comfortable all night long? How did it handle moisture? Weight: Is it light enough and compressible enough to backpack with it for days at a time? Durability: Testers slept under the stars and often cooked breakfast or drank their coffee while still in their sleeping bags. Did the duress of a backpacking trip -- including living in it while awake -- rip the fabric? Were testers concerned about wear and tear? Versatility: If it’s a backpacking bag, is it comfortable enough to be a go-to car camping bag as well? Will it perform well in a variety of climates? 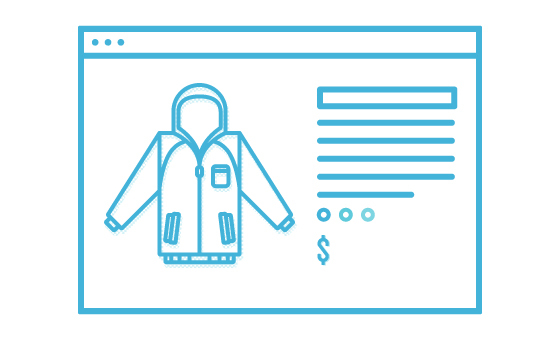 Quality: This attribute considers everything from down fill-power to quality of the fabric, stitching, baffle construction, etc. Quality is closely linked to performance, durability and longevity. The North Face’s sleeping bag line is among the most extensive in the industry, and their offerings range from $100 basic car camping bags to premium models like the Inferno. Though on the more expensive end of the spectrum, the Inferno 15 was our top pick of the test: the lightweight 800-fill down, durable outer material, comfortable inner fabric, and snug, comfortable, baffled hood design made it hard for testers to give the nod to any other bag. Pros: The regular-sized bag is 2.3 pounds, and with The North Face’s three-strap suspension system, it packs down to size of a soccer ball. Upon unfurling the bag from the stuff sack, testers were pleased with how quickly the water-resistant ProDown regains its loft. Treat the bag well (store it unstuffed) and this bag will keep you warm for years to come—the durability of the outer fabric was appreciated when using the bag without a sleeping pad to stay warm on rocky outcrops. The blue fabric on the hood, back, and footbox is “NeoVent Air,” which supplies ventilation to key moisture-heavy areas. That said, testers didn’t notice any heat loss in cold weather in these zones. 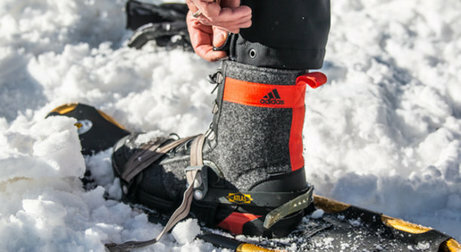 We were stoked to see the material at the foot box, as jamming a pair of boots in the foot of the bag to keep them from freezing at night can lead to a steamy, stinky hot tamale of a bag come morning. Cons: Testers had few, if any, complaints. Price is steep, but you get what you pay for. The partial central zip can be pesky in warmer weather, as warm sleepers especially will want to undo the entire bag, but we think this is a fair trade for more efficient heat retention in cold weather, and it actually happened to be our favorite feature. Favorite Feature: The central zip! It takes a bit to get used to if you’re used to sleeping with the zip on the side, but it retains warmth well and makes for a comfortable sleeping in cool conditions. Bottom Line: A premium option and our favorite 15-degree bag of the test, the Inferno is on fire. Best for: 3-season backpacking and car camping. Big Agnes has the sleeping bag game on lock, from entry-level bags to ultralight top-of-the-line options. The Sandhoffer 20 straddles the spectrum: it’s got an entry-level price point, but it’s also relatively lightweight and compactable given the price, not to mention it’s equipped with Big Agnes’ sleeping pad system, which our test team absolutely loves. Plus, the shape of the bag is mummy-like for a cozy night in lower temperatures, but it’s still roomier without being overly boxy or inefficient. Similar in weight and lower in price to the Klymit KSB 20, our previous top pick for entry-level backpacking, the Big Agnes Sandhoffer 20 is our team’s new recommendation in this category. Cons: Simple, well-designed, warm, and reasonably priced, we didn’t have many negatives to point out on this bag. As one tester mentioned, “I keep trying to find negative qualities, or sub-par elements associated with this bag, but I can’t.” If we have to nitpick, our main complaint would be that it could be more packable—that said, if it were, you would either lose the cut of the bag, which we loved, or Big Agnes would have to use a 700 or 800-fill down, which would bring up the price. Favorite feature: Easily our favorite feature is the integrated sleeping pad sleeve, which keeps the bag from sliding off your pad in the middle of the night. Bottom line: Though not the most packable or the lightest option out there, it’s very warm and makes for a solid pick for first time backpackers or those looking for a warm bag on a budget. 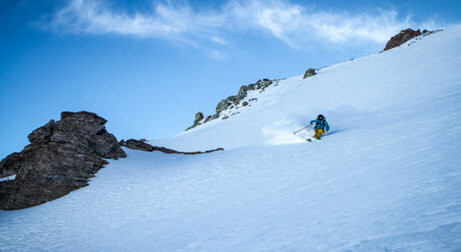 Three team members put the Klymit KSB 35 to the test this spring in the mountains of Colorado and the deserts of Utah. We’re fans of Klymit—the brand’s mission is simple: make innovative, quality gear at an affordable price. The Klymit KSB 20 is still a favorite budget pick for backpacking, even though they’ve raised the price (now $250). Finding a bag that’s under 3 lbs for that cheap is a tough ask. While there were definitely attractive elements of the Klymit KSB 35, it doesn’t seem to deserve to belong in the KSB line, as it’s missing our favorite feature and defining characteristic of the original KSB 20—the flexible stretch baffles, essentially loose bungee cords around the latitudinal axis of the bag, which allow for stretch and provide a revolutionary backcountry sleep experience. 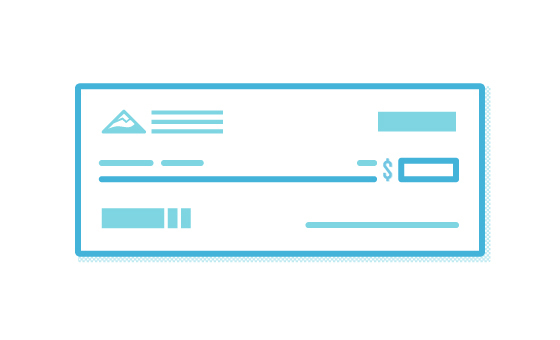 That being said, the KSB 35 is $200 and 1.9 pounds. For frugal folks on the hunt for a cheap summer bag for camping and backpacking, the KSB 35 is a great find. Cons: The KSB 35 is lacking the original KSB 20’s stretchy baffles, which is a major disappointment. The zippers were just ok, as they lacked rigidity along the seam, and testers frequently had to use two hands to avoid snags. Also, while the outer fabric is DWR-coated and ready for warmer nights spent without a tent, testers agreed that the inner sil-nylon material had a less welcoming hand feel when compared to other fabrics, like that of the tester favorite Big Agnes and The North Face bags. Maybe the price makes it worth a small sacrifice in inner fabric comfort and quality—that all depends on your frequency of use and budget. Given that a 20-degree bag suffices on the vast majority of camping trips, saving some cents on a warmer summer bag may make sense for you. Favorite Feature: The Adjustable Length Locks, which allows the bag to be used by smaller sleepers without extra space at the foot of the bag causing frozen feet. Bottom Line: Lightweight and reasonably priced, the KSB 35 is a good choice for those looking for a secondary summer backpacking bag. Field Notes: We’ve been testing The North Face’s Blue Kazoo Women’s 15-degree sleeping bag over the past four months, ranging from sweaty backpacking trips in Utah to cold weather car camping trips high in the San Juans, West Elks, and Sawatch ranges of Colorado. Our tester loved the bag’s feature-rich design, the comfort provided by the lofty, water-resistant 700-fill ProDown, and the generous cut of the bag, though she did note issues with the bag’s zipper, which had a propensity to snag. Pros: The outer fabric of the bag is durable, the inner fabric comfortable, and the down lofty and warm. Our tester gets cold easily, and she found the bag’s lofty down supplied welcome warmth (though on 20-degree nights it did get chilly). The bag is lightweight and compressible, making it suitable for backpacking, although there are lighter (and more expensive) 800+fill options that we’d rather use for extended backpacking trips. That said, because the Blue Kazoo is stuffed with 700-fill down, it’s more affordable, and is a solid option that’s not as steep as high-end, ultralight bags. Cons: Our tester noted that the draft collar could have been stiffer; the hood was floppier than she would have liked and resulted in her head popping out throughout the night. Also, our biggest complaint was that the zipper snags: a stiffer, broader zipper lining would make a huge difference with this design, especially because the lofty body of the bag is so fluffy. Bottom Line: A comfortable, warm, women’s specific bag with a lofty body with some persistent zipper issues. Once again, Slumberjack delivers the glamping goods at a ridiculously low price. The Wheeler Lake 0-degree bag is the cheapest, warmest 0-degree bag we’ve ever tested. It’s the size of a fully-loaded backpacking pack when rolled up and weighs the same amount as a small newborn baby, so you’re certainly not taking this thing for a trek. But for what it is—a cheap, comfortable, warm car-camping bag—the Slumberjack is going to be attractive to occasional glampers, car-campers, and families. Pros: Price and warmth are the most notable benefits of this bulky bag. You can almost fit two people in the bag—it’s that roomy—and unlike mummy style bags, the bag doesn’t move with you in the night. Rather, it feels more similar to sleeping in a snug, tucked-in duvet at home. The footbox is also incredibly roomy, and tossing and turning sleepers will rejoice at the range of motion. Our testers didn’t notice any cold spots with the quilted design, and found the cushy bottom of the bag acted as a mattress topper to sleeping pads. For a comfy, warm car-camping experience on a budget, this is a top recommendation—though if you have more cash to spend, Slumberjack’s Country Squire is even better. Cons: The camo inner fabric is comfortable, but it’s not remarkable, and for car camping in cold conditions, we were bigger fans of the Country Squire’s cozy poly-cotton fabric. Also, the stuff sack for this thing is sack-of-potatoes gigantic. Even when car-camping, this can be an overwhelming item to pack. If you’ve got a smaller SUV or heaven forbid a sedan and a few people and dogs in the car, you’d better be prepared to have some gear overflow. Favorite feature: The 2-in-1 hood can lay flat and be used with your normal pillow, or you can fold up the sides and gain the wind-breaking warmth of a mummy-style baffle. Bottom Line: Cheap as dirt for sleeping in the dirt, this is as affordable as it gets for a 0-degree bag. Few of us slip into our sleeping bags, sleep like rocks, and then emerge, refreshed and ready to carpe that diem. Reality is much less romantic. There’s squirming into the bag, tossing and turning in the night, snapping up into a seated position when a cracked twig evokes the yell, “bear!” from your tent mate. And what about card games, boiling water in the rain, catching a sunrise cliffside while it’s still biting cold? More and more brands are adding stretch to their sleeping bag designs, hoping to make camping more comfortable and sleeping bags more attuned to the varied needs of a backpacker. Big Agnes’ Bolten 20 does just that: stretchy panels run the sides of the bag, equipped with PrimaLoft Gold Insulation to minimize heat loss and maximize retention (PrimaLoft silver insulates the rest of the bag). 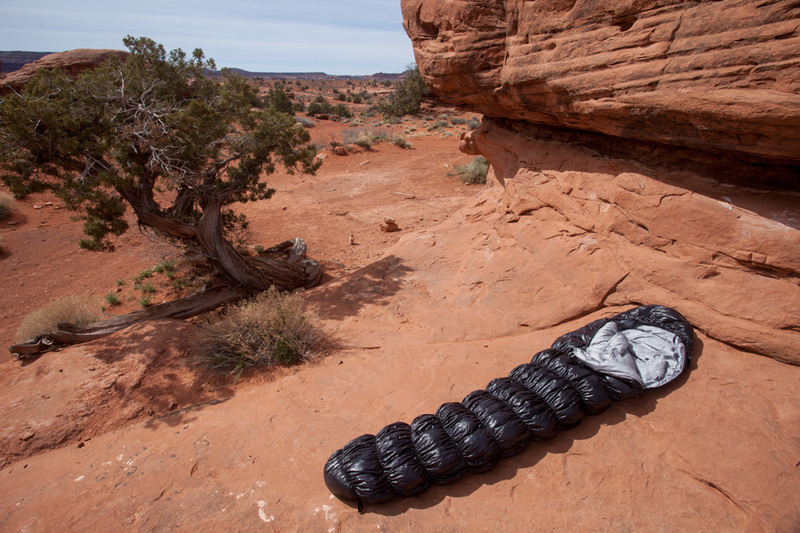 Testers both big and small have pushed the limits of this stretchy bag on backpacking trips and car camping trips in Utah, as well as overnights in Colorado, and we recommend it as an option for folks who love premium synthetic insulation as well as the idea of a stretchy sleeping bag. Pros: Testers dug the lightweight feel of the PrimaLoft insulation, as well as the spacious interior and generous cut of the bag. The mummy hood has an adjustable cordlock and holds its shape well, blocking out cold gusts should you choose to sleep out under the stars. If the bag exterior gets wet, the PrimaLoft synthetic insulation retains warmth well, and come morning, you can hang up the Bolten to dry from the exterior loops. The stretchy side panels are definitely the highlight of the bag—they offer some give without reducing the warmth of the bag by offering a bulkier, roomier cut. Cons: For the price, the bag is still fairly bulky when stuffed, so it’s not our top choice for backpacking. We’d rather use the cheaper, roomier Big Agnes Sandhoffer or upgrade to either the more compact Marmot Helium or the warmer North Face Inferno. That said, because of the synthetic insulation, this stretchy bag is best-suited for active sleepers who tend to go backpacking and car-camping in wetter, moisture-rich regions like the Pacific Northwest. Favorite feature: The stretchy side panels, which gives the bag a less claustrophobic or constricting feel. 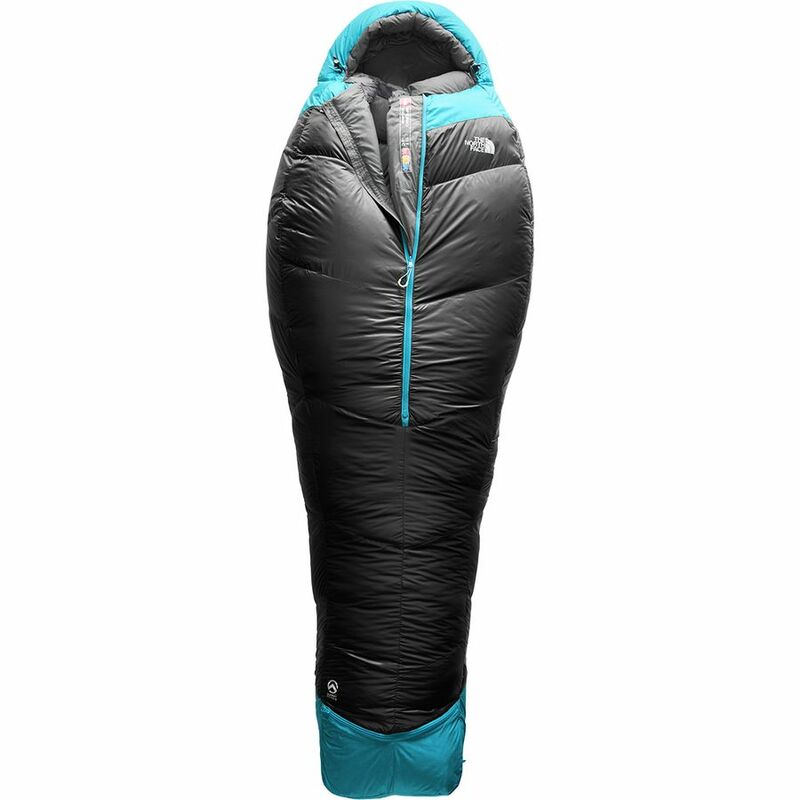 Bottom Line: A stretchy and innovative option from Big Agnes, the Bolten SL 20 is not your average mummy bag. Marmot Helium 15 $257.33 - $275.27 Field Notes: The Marmot Helium became a contender for top honors on the first night out, with one tester reluctant to test-sleep anything else. After trying a handful of others on subsequent backpacking and car camping trips, he was enthused to get back to the Helium. From start to finish, it was, as we say, love at first night. Best For: Investing in a bag to do it all. Enjoying a warm sleeping bag that compresses down to a manageable size. Mountain Hardwear Hotbed Flame 20 $116.99 - $136.74 Field Notes: After testing this bag both backpacking and car camping, multiple testers agreed Hotbed is a solid pick for both activities. Comfortable without being too large to pack in, this affordable bag is an excellent crossover product. 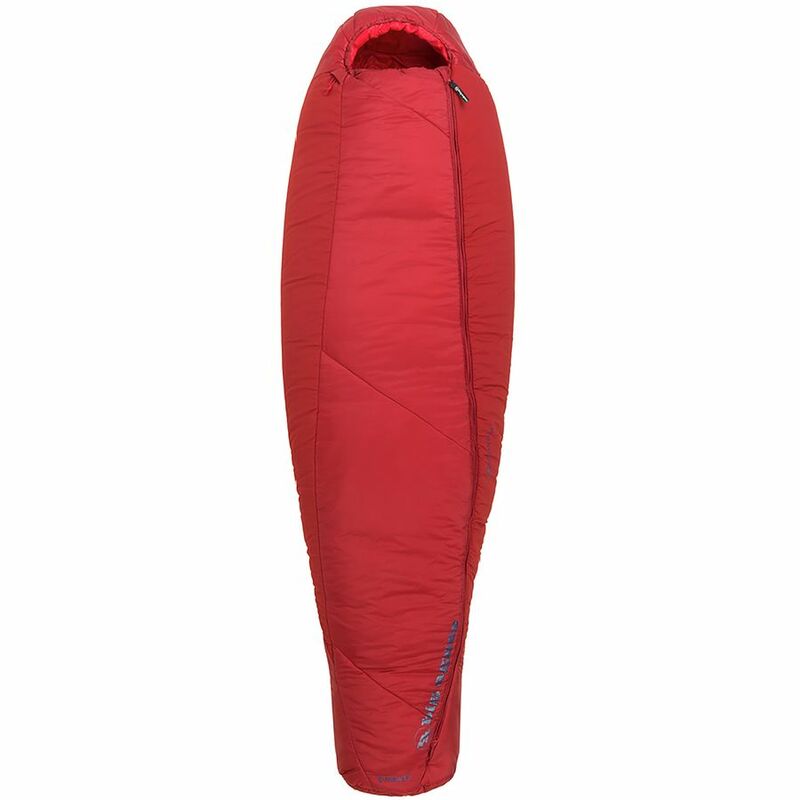 Pros: Most sleeping bags have silky, nylon interiors that duplicate the outside of the bag. Not so with the Hotbed with a cottony inner lining more akin to your sheets at home than coarser sleeping bag fabrics. Beneath this comfortable fabric are 5 in. of synthetic Thermal Q Thermic MX insulation to maintain warmth when hit by light rain or morning condensation. 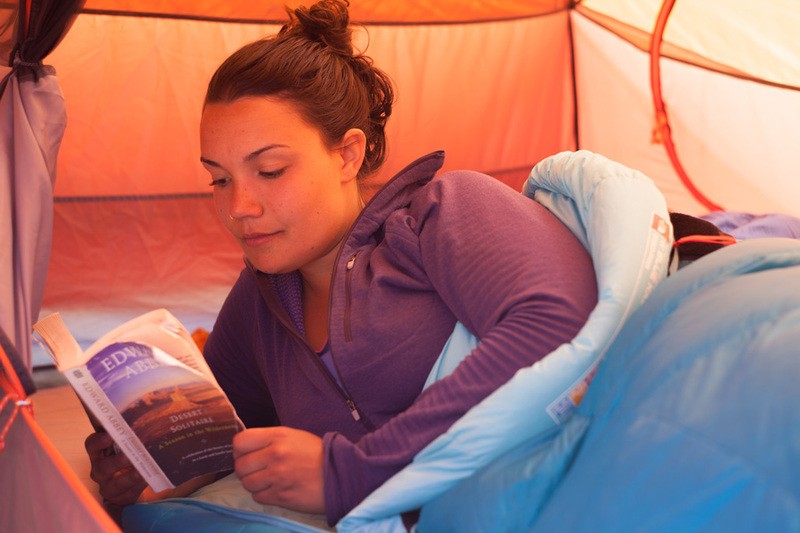 Mountain Hardwear makes it easy to zip two Hotbeds together to snuggle up in the backcountry. Another bonus: the microfleece-lined stuff sack makes for a great pillow. Cons: Though affordable Thermal Q Thermic MX Insulation repels moisture, it isn’t light at almost 3.5lbs and twice the packed size of lightweight sleeping bags like the Brooks-Range Drift 20 and Marmot Helium 15. However, it offers extra length (78”) so 6’5” testers fit comfortably in the regular model. Favorite Feature: That interior fabric made for a dreamy night’s sleep as if you’re at home in your own bed—instead of in the woods tucked into the Hotbed. Bottom Line: Serious backpackers on a budget should look to the lighter, more compressible Klymit KSB. 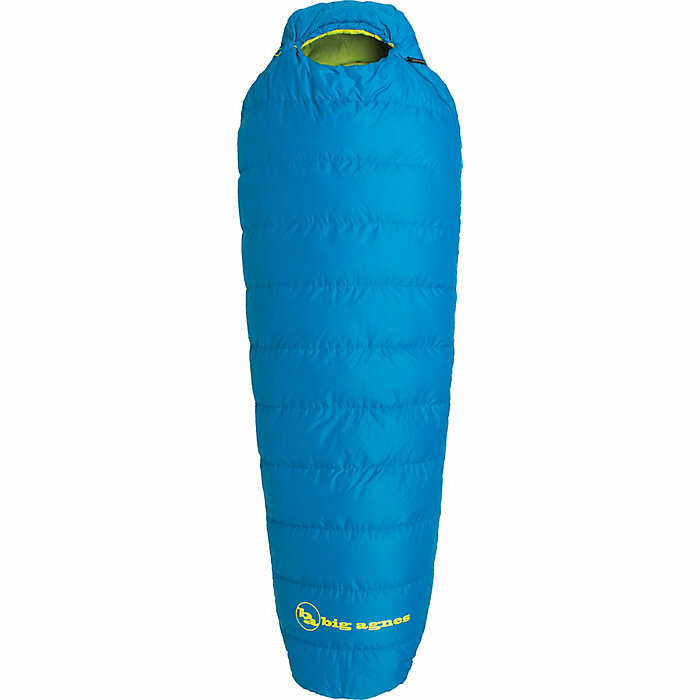 The Mountain Hardwear Hotbed 20, however, is more spacious, comfortable and cozy. Best For: Well-suited for travelers who split their time between mellow-moderate backpacking trips and car camping excursions. Rab Neutrino Endurance 400 25 $374.06 - $434.95 Field Notes: After a stuff sack mix-up, our tester believed he brought a 20-degree bag on a 3-day backpacking trip where temps dropped below freezing under the rim of the canyon. This 25-degree Rab ended up in his pack and, even as temperatures hovered near the EN Lower Limit, he remained snug in the Neutrino 400. Combine it with a puffy and long johns to go low, it was the team’s favorite ultralight sleeping bag. Pros: Rab is entrenched in the gritty minimalism of modern alpinism. Even if you’re simply a casual backpacker, such a carefully-designed product makes a significant, positive difference. This nearly weightless bag stuffs down small, perhaps equal to the Brooks-Range Drift 20 for smallest. The comfortable hood was easy to cinch even as gusts of wind pounded the Pertex Endurance outer fabric. Pertex Quantum lines the body of the bag with both fabrics treated with DWR to ensure the Nikwax-protected hydrophobic down doesn’t come face-to-feather with moisture. Cons: Our single concern was a few renegade down clusters sneaking through the central, inner seam of the bag. Will leakage be a problem over time? Rab has a solid guarantee that covers the original owner to inspire confidence in resolving any concern with their customer service team. Favorite Feature: The Pertex Endurance fabric makes for a reliable exterior. 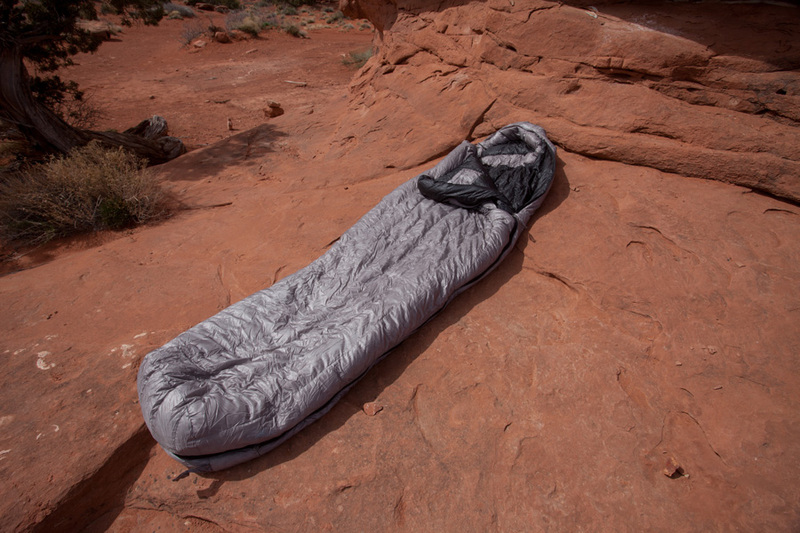 It’s durable with no snags or tears even after being tossed over thorny brush and used as a quilt over rough sandstone by our inquisitive testing staff. 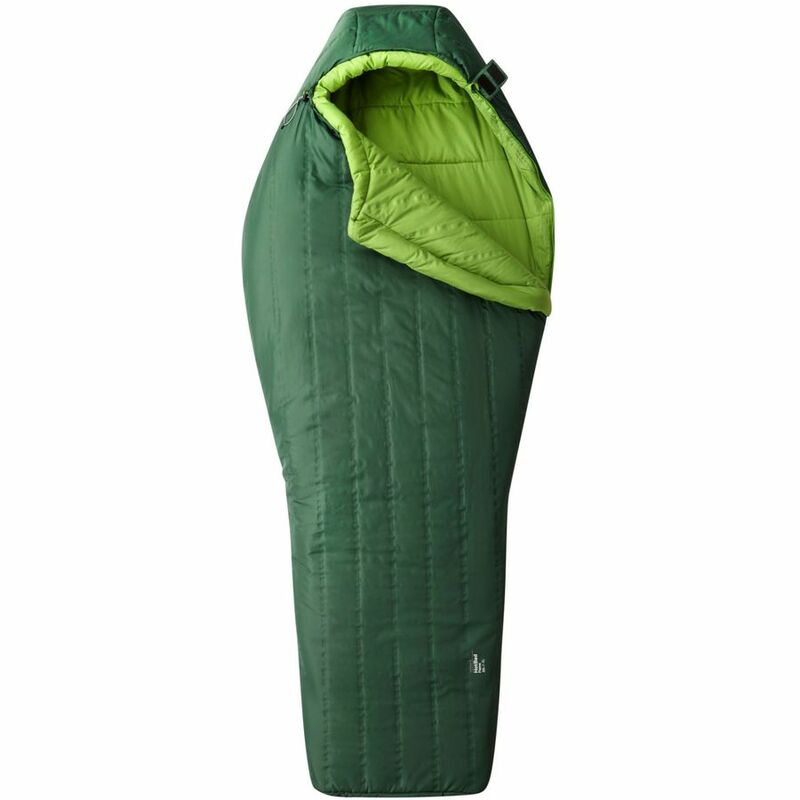 Bottom Line: If you already have a 0-degree sleeping bag up to a 15-degree bag and/or are looking for a lightweight 3-season bag that will do well in summer, look at this Rab sleeping bag. It’s a top tier bag that everyone from alpinists to fast and light backpackers will appreciate. Klymit KSB 20 $130.69 - $189.95 Field Notes: We encourage testers to ignore price during field testing. The Klymit KSB misled testers, who grossly overestimated the cost. With an ingenious design and warm construction, it packs to a reasonable size to score high among multiple testers, though it is not the lightest bag included on the test with 650-fill down. Bottom Line: The only way to find this quality at this price might be on craigslist or searching bargain bins at your local outdoor store. A great deal, we recommend KSB for first-time and budget-focused backpackers. Best For: Budget backpacking, new-backpackers, use in bivouacs and rugged camping scenarios due to heat retention of baffle design. Pros: Brooks-Range Mountaineering designs are precise and minimal, and the Drift 20 is no different. Aside from a tiny internal pocket, nothing’s added in a bag considered roomy by mountaineering standards. 850-fill DownTek insulation is some of the highest quality insulation on the market. Testers loved the vertical baffles (part of BR’s “Flow Construction”) and puffy draft tube that blocked the cold. 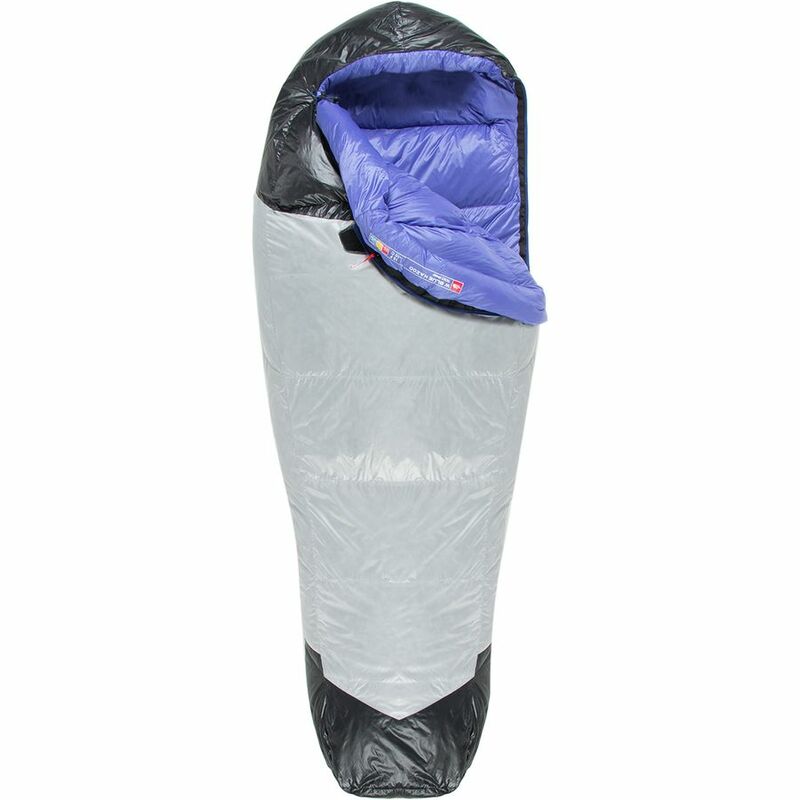 Down to 20 degrees, male testers stayed warm in the Drift 20-degree sleeping bag. 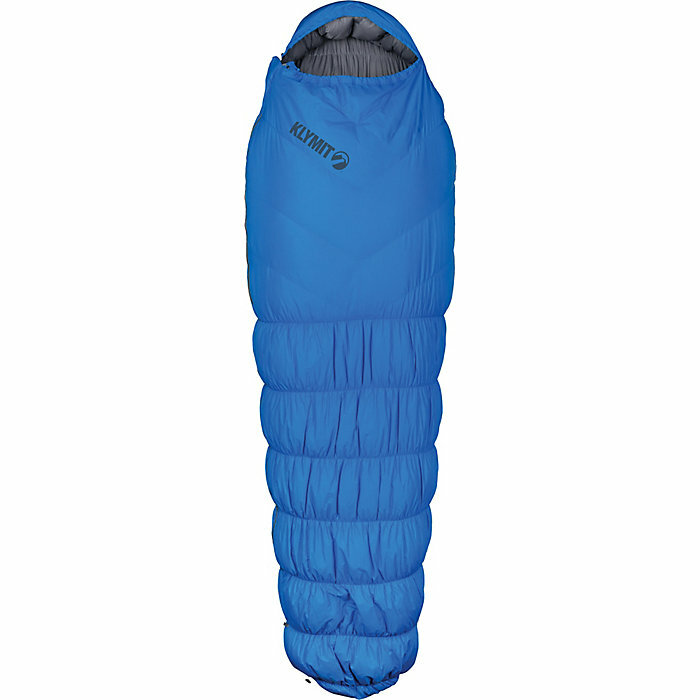 Cons: The fabric of this sleeping bag appears susceptible to tear so testers were more careful with the Drift 20 than the Rab Endurance Neutrino 400. Favorite Feature: The hood and collar combo feels heavenly on crisp, windy nights as a high-volume baffle surrounds the head like an angel’s halo of warming down clusters. Bottom Line: Though expensive, this compressible bag is a value for serious, do-it-all gram-counters. Best For: Everything from ultralight backpacking to car camping. The North Face Blue Kazoo 15 $192.52 - $262.26 Field Notes: When forecasts predicted dropping temperatures, testers were relieved that TNF’s Blue Kazoo was in the mix. 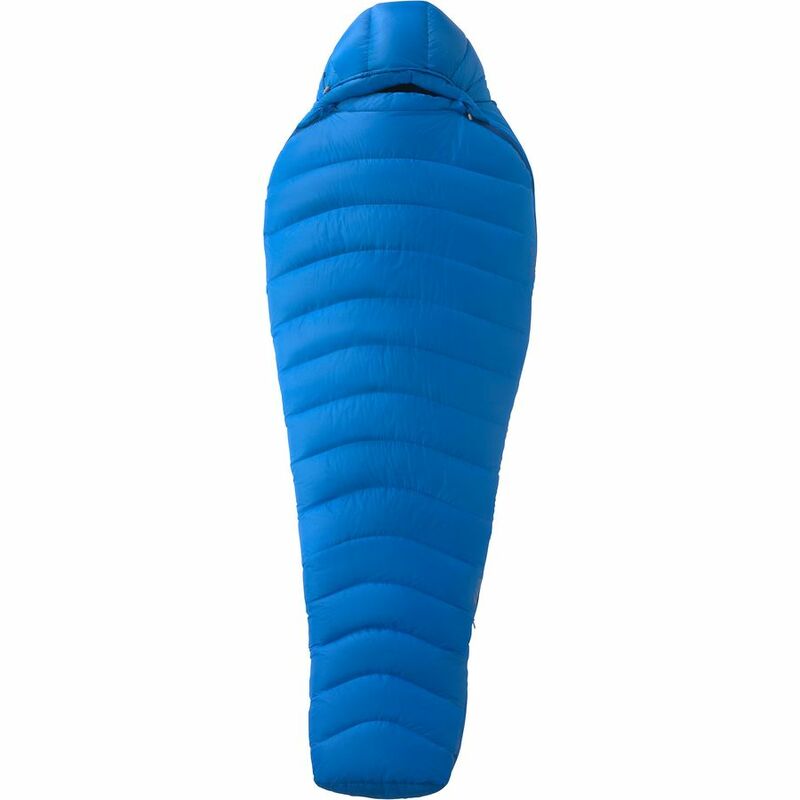 Over the initial two-week testing trip, this 650-fill sleeping bag was a favorite rom backpacking trips to car camping scenarios and proved to be a solid choice in cold weather sleeping bags. Bottom Line: If warmth is the focus, the Kazoo is an excellent bet. While lacking compressibility, the bag earned its extra ounces when testers pitched camp in cold locales. Best For: Spring and fall camping as well as backpacking. Slumberjack Country Squire 20 $161.71 - $167.28 Field Notes: Mummy bag lovers giggled when they caught a glimpse of the Country Squire’s enormous canvas duffel bag that replaces the age-old stuff sack for this monstrous model. Chuckles gave way to snoring as the Country Squire is among the most comfortable sleep systems available — in or out of the campground. Pros: Even tall testers had room to move around in this bag, perhaps with enough margin to be a 2-person sleeping bag. While we didn’t test out this theory, being surrounded by the luxurious poly cotton liner felt more like home than pioneer homestead. Cons: This 20-degree bag weighs almost 11 pounds and chews up trunk or rooftop space. Use of 12oz Cotton Duck shell material hampers the ability to block breezes so sleeping outside is not advised unless clouds are scarce and skies are calm. Favorite Feature: The cotton lining had testers snoozing as soon as they hit the pillow. Unbelievably comfortable, the lining can be removed and washed — a rarity in the sleeping bag market. Tester Comment: “It is good to be King — or at least a Squire — if you’re big and have plenty of room to transport this bag. Goodness at an amazing price." Bottom Line: Look no further for the ultimate car camping sleeping bag, one wrapped in 11lbs of cottony bliss. 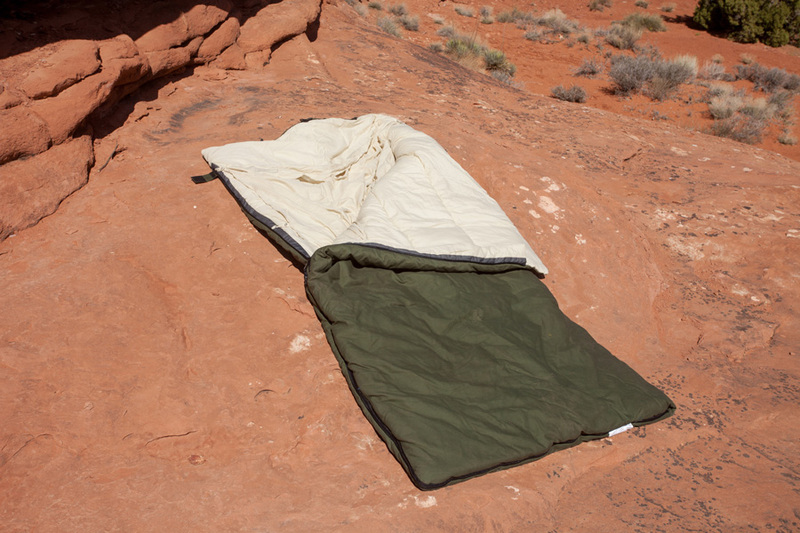 Best For: Car camping, use as a duvet in an RV or camper van. Big Agnes Summit Park 15 $227.67 - $283.76 Field Notes: On the big size, Active Junky’s 6’5” testers were instantly intrigued by the roomy 15-degree bag lovingly nicknamed the “Windsock.” So enormous that a gust of wind could cause the whole thing to get airborne, Summit Park meant warmth well below freezing. And one tester embarked on an impromptu winter backpacking trip with it, sleeping above the snow line. Pros: The sleeping pad sleeve fit several different pads. 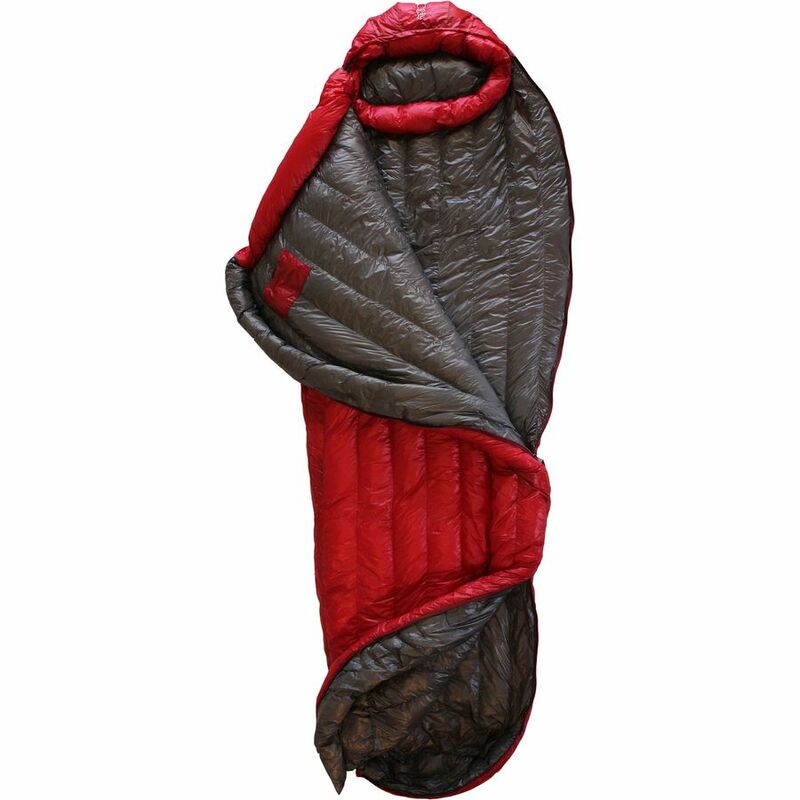 While mummy sleeping bags with pad sleeves often make it challenging to turn during the night, Summit is roomy enough to permit internal movement from back to side while employing the pad sleeve. DownTek insulation excelled, as condensation failed to infiltrate the loftiness of this sleeping bag during winter camping while quilted down baffles never yielded cold spots. In extreme conditions, the Summit is a superior outer bag when a smaller mummy is inserted – saving money in the process. Cons: If you aren’t big and tall, explore some of Big Agnes’ other offerings. Average Joes will be drowning in this wide bag. 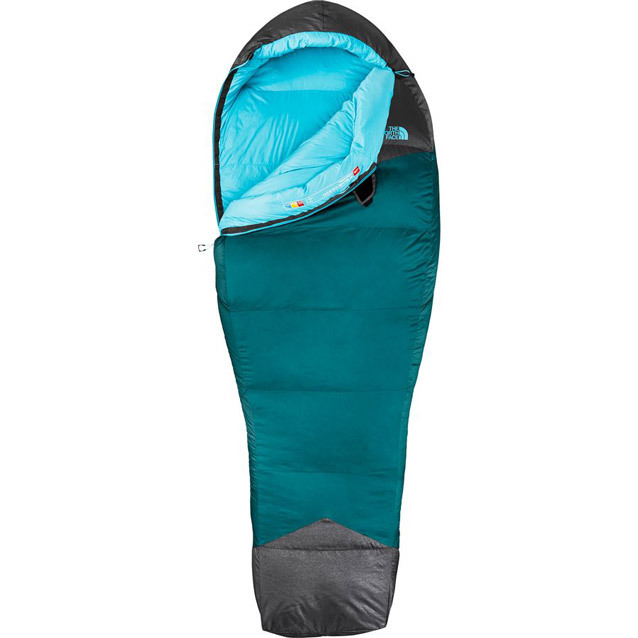 Favorite Feature: The sleeping pad sleeve was a top contender for favorite feature, but honors go to the water-resistant DownTek loft as it adds serious versatility and multi-climate performance to the Summit Park 15. Bottom Line: While on the big side for backpacking at 4.5lbs, it can be carried. Testers prefer it as a plush car camping bag or as an outer bag for mid-winter excursions.